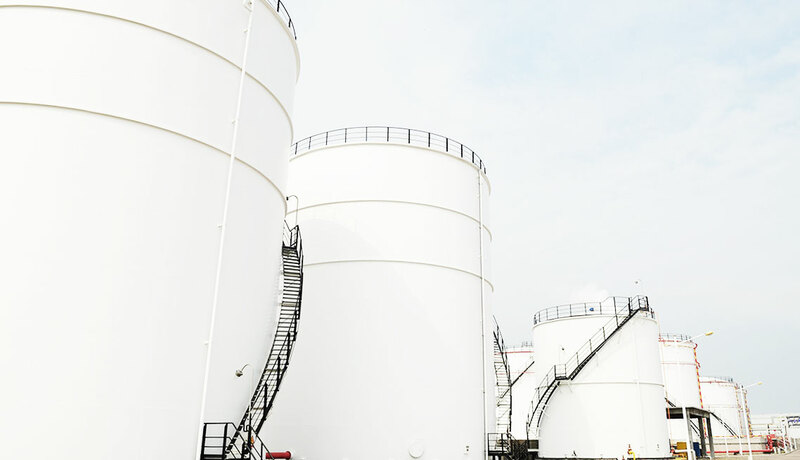 Every industrial manufactory process involves products and raw material storage in particular tanks. 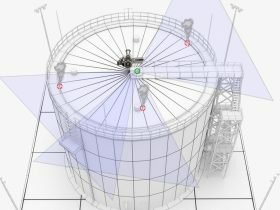 Liquid fluids can be stored in two types of tanks: with b or with floating roof. These two categories of tanks can show some peculiar criticalities, which cause product emissions in the atmosphere. This loss involves safety and environmental risks. 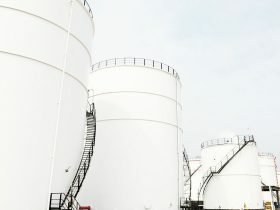 With a periodic tanks inspection through non-intrusive monitoring techniques, you can find and solve criticalities, reducing product emissions in the atmosphere. Here is the description of a fixed roof inspection program focused on a periodic loss control. In this stage, we find and organize probable emission sources: pulmonary valves, flanged lifts, sample valves and points. We arrange a sources archive about the inspected tank. It’s possible to create a photo archive for every single source. In this archive, every relevant characteristic of the source as the fluid stored inside the tank will be registered. OGI inspection represents a quick and efficient way to spot fugitive emissions from documented sources. The inspection results will be organized in an archive correspondently to the inspected sources. A report with a video provides information for every source. 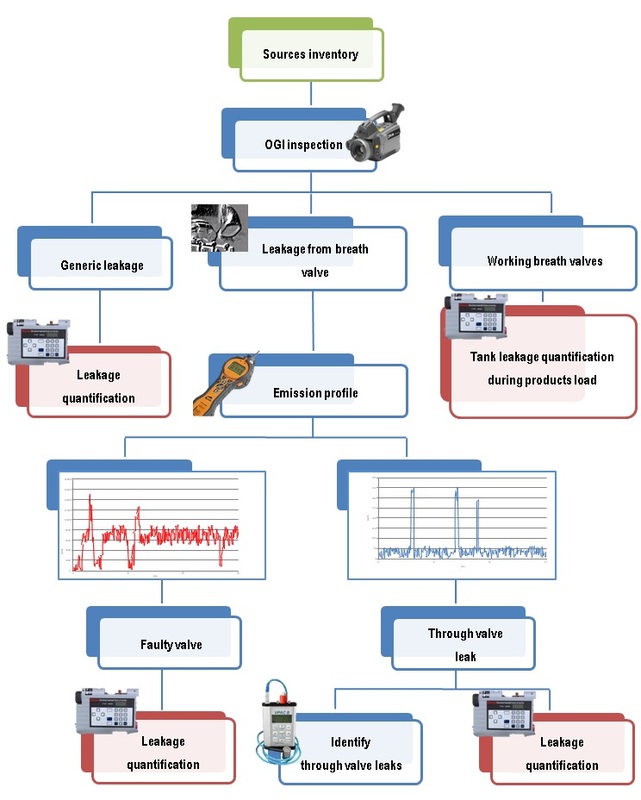 If pulmonary valve emissions are present during the silent phase of the tank (in which there isn’t any product loading), it is necessary to register the emission profile of the valve. That’s why we do a continuous emission monitoring for 24 hours ca. The type of sensor used during the monitoring depends on the store product. Monitoring is accomplished guaranteeing a 1 ppmv to 50.000 ppmv sensibility range. Thanks to the concentration analysis, we determine if there’s a valve malfunctioning or if the emission is due to a possible through valve leak. 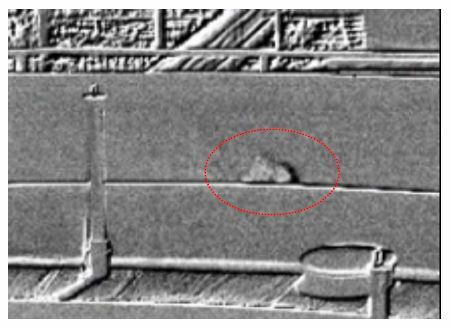 If during the tank inspection a through-valve-leak is reported, we investigate with ultrasound technology and we find where the source is. 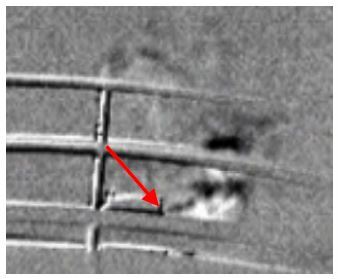 In every just exposed case (valve malfunctioning, through valve leak, loading tank stage) we quantify the pulmonary valve emissions through Bagging. The valve is condensed so to direct all the gas in a known volume room (Flux-Box), to which a concentration sensor is connected. Through the increasing of the kinetics monitoring of the flux-box concentration, we calculate the gas emission range at kg/h. This technique can be used for every type of loss in which you can direct the gas emission. • Ec= emission calculated after tank download (product tank download volume proportioned). 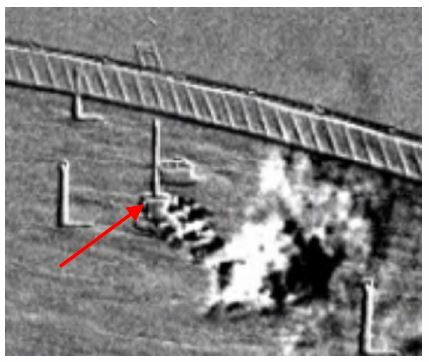 The best tanks inspection system is OGI (Optical Gas Imaging). It permits to do a safe, quick and efficient screening. 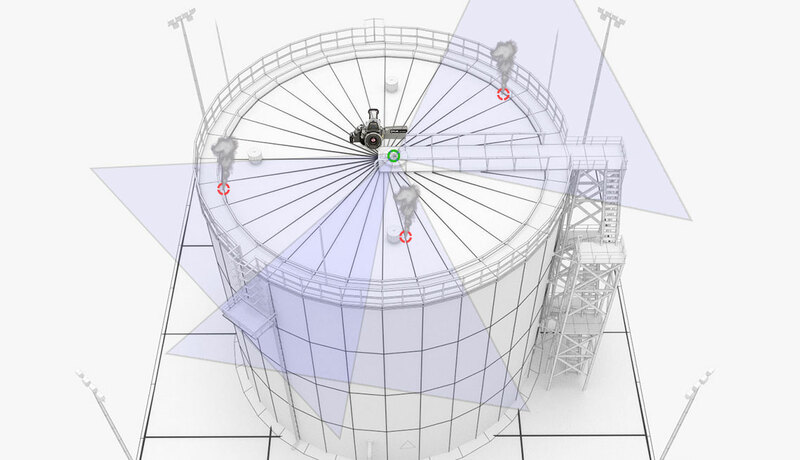 It is possible to detect eventual losses due to a structural lack or malfunctioning components of the tank using the gas finder. Another emission source is represented by roof guides that continuously release light product. This fact leads to negative safety and environmental consequences. Different kind of loss can be found in fixed roof tanks. Pulmonary valve loss in a fixed roof. 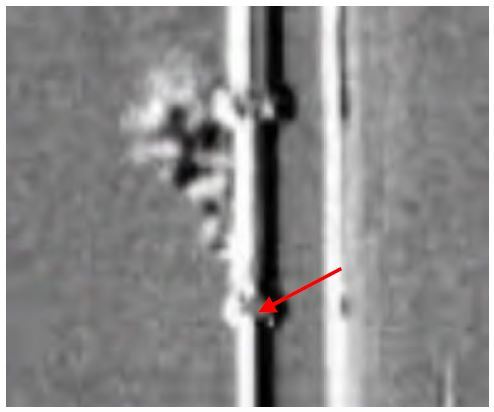 Standpipe loss in a fixed roof. 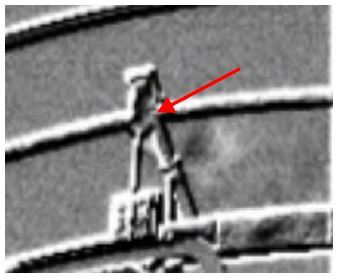 In the picture below we have found and advised a flange loss on a fire-resistant tube located in a fixed roof tank. 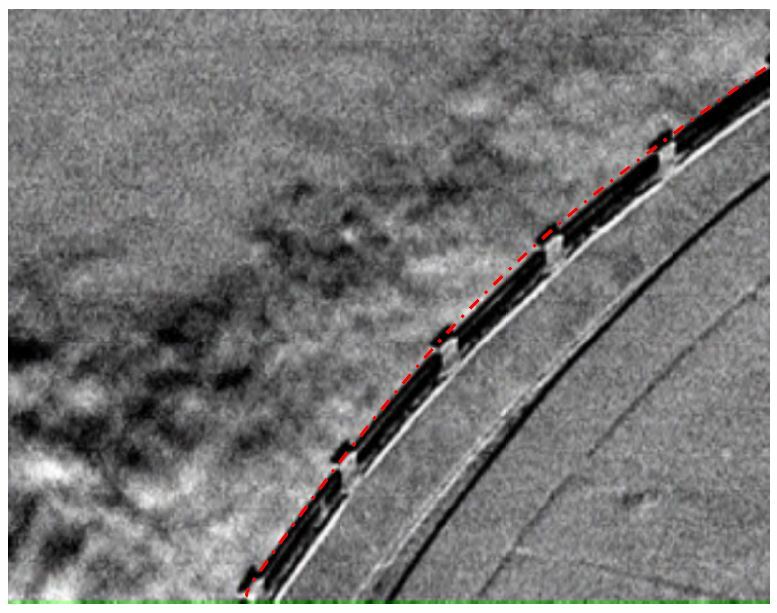 This kind of loss is a consequence of a protective membrane damage, due to volatile product inflation of the tank line. In this case, the inspection had a significant role in the prevention of a fire-suppression system malfunctioning. WOULD YOU LIKE FURTHER INFORMATION OR ASK FOR A QUOTATION? CONTACT US AND WE WILL ANSWER YOU WITHIN 24 HOURS!